"She is one of the smartest yet down to earth people I have ever met. She offers personalized care to all of her patients. We have gone to her for almost 15 years now, and I would never trust the health of my children to anyone else!" Whether your young student athlete needs a sports physical exam or has a sports-related injury, ABT can help. Dr. Farella has nearly a decade of experience with pediatric sports medicine, performing sports physicals and treating sports injuries. She knows how to treat all kinds of injuries – particularly to the neck, shoulders, elbows, wrists, knees and ankles – and teaches young people how to take better care of themselves so they can avoid and prevent future injuries. 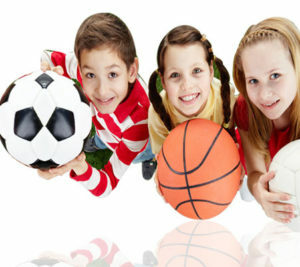 Whether your child plays youth soccer, football, baseball, volleyball or basketball, you’ll find that Dr. Farella almost always has room in her schedule for same-day sickness or urgent injury appointments. Plus, she’s extremely friendly and down-to-earth, easy to talk to, and knowledgeable about sports medicine. You’ll also be glad to know that she can continue to see your child up to the age of 18. When your child needs effective care and treatments for sports injuries or a sports physical exam (for school or camp), choose ABT and Dr. Farella. Feel free to ask any questions or share your concerns. Get one-on-one personal care for your child’s health problems. We can also give you advice regarding nutrition for kids. We’ll help you address your child’s condition. Visit A Brighter Tomorrow Pediatrics in Webster, TX. Call us at 281.332.0500 to schedule your free tour and consultation with pediatrician doctor Angelina Farella, MD. Our service area includes Harris County (League City, TX, Webster, TX, Friendswood, TX), Galveston County and Brazoria County (Pearland, TX).